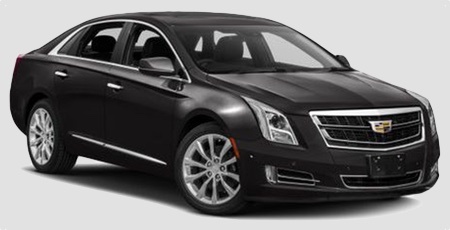 Med Limos full-size luxury sedans are discreet yet elegant while offering a spacious, comfortable travel experience. 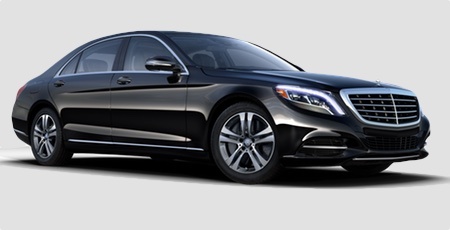 Our sedans are the perfect vehicle to reserve when you need transportation relating to executive travel or evening outings accommodating one to four passengers. 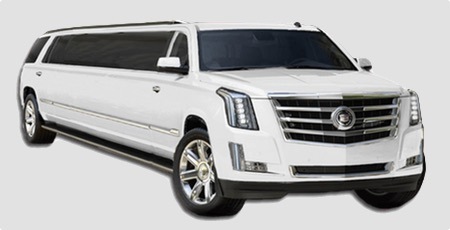 Please contact one of our booking agents via phone, contact form or by email today so we can help reserve the right vehicle for your corporate event or social outing. 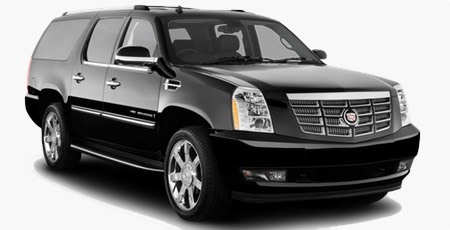 Med Limo offers several options when you need to reserve a large SUV. 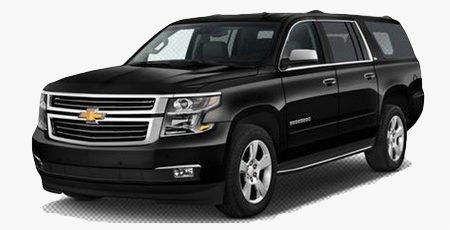 Our vehicles are reliable, receive regular safety inspections and are reputable for transportation around town. Each vehcile has been redesigned from inside and out, with our passengers’ every need considered. Contact our team or reserve online today and allow our professional chauffeurs an opportunity to take the stress out of your next trip. 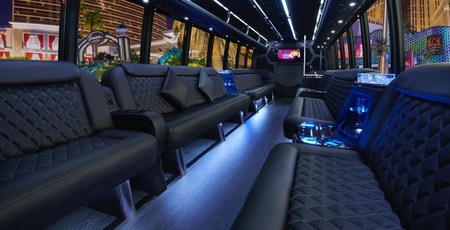 When your ready to start planning for an upcoming prom, wedding, graduation or just want a special night out on the town, let our team put together a customized package that will meet all of your transportation needs. 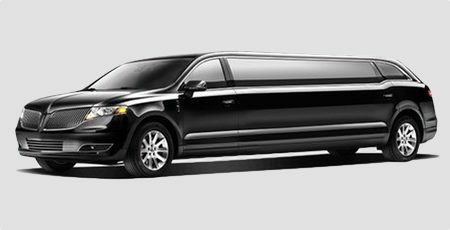 Med Limos stretch limousines are available in a different number of passengers models. Amenities include A/C, tinted windows, ice bins, glasses and flutes, CD sound system, TV, DVD and a cabin partition. Please contact one of our booking agents today so we can begin the process of reserving transportation for your upcoming event. 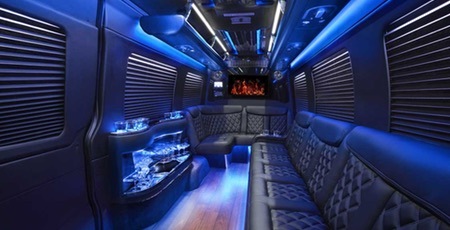 Med Limos Mercedes-Benz Sprinters are perfect for group sizes of 10 to 14 people. 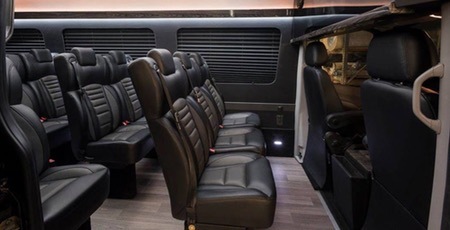 The Mercedes-Benz Sprinter is a perfect choice for corporate meetings, sporting events, proms, graduations or for those special nights out on the town. 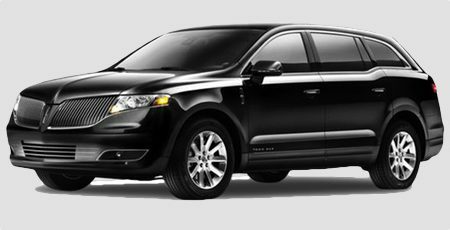 The Med Limo team can easily customize a package that will work around your special transportation needs. 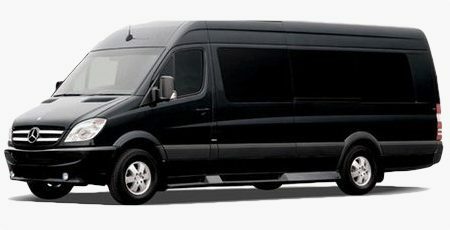 The Mercedes Sprinter limousine is available in a different number of passengers models and also has the capability to accommodate large luggage pieces. Amenities include A/C, tinted windows, ice bins, glasses and flutes, CD sound system, TV, DVD and a cabin partition. 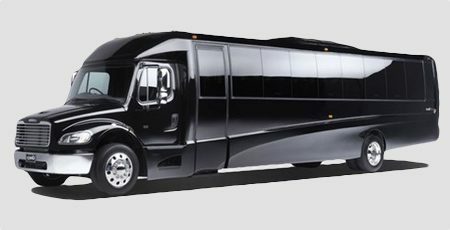 For situations that require transportation for larger groups of 26 to 37 people, Med Limos mini-coach bus is a sound choice for your next trip. 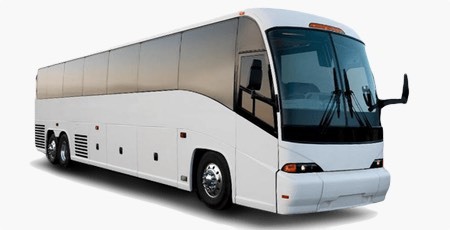 Great for corporate related events, church groups, are looking to travel in one vehicle as a family, or for traveling with your friends as a group to a concert. 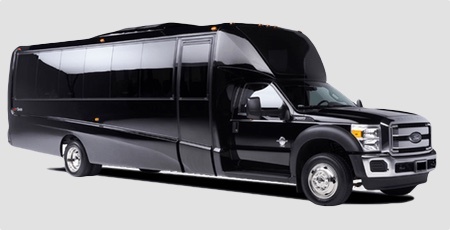 Med Limos mini-coach bus can handle almost all of your needs with the goal of exceeding your expectations. Contact the Med Limo reservation team today to learn more about how we can help simplify the travel arrangements for your next group trip. Our 56 passenger motorcoaches offer reclining seats with spacious leg room, adjustable foot rests, and individual reading lights. 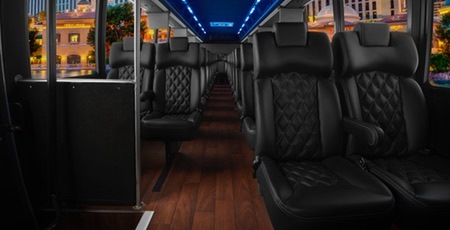 Med Limo buses are equipped with restrooms, overhead racks for carry-on bags, climate-controlled air conditioning & heating, plenty of weather-proof luggage compartments with storage space for all of your guests’ luggage, and audio / video equipment including a PA system.